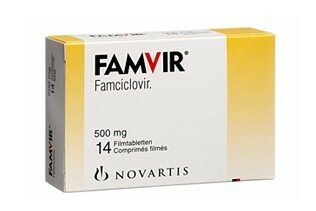 Famvir contains the active ingredient famciclovir and belongs to the group antivirals. It slows down the growth of viruses that are caused by the herpes simplex (cold sores and genital herpes) and herpes zoster (shingles) virus. Used for treating: genital herpes, shingles and cold sores. Tablets: can be taken before, during or after eating. Course: treatment usually takes 1 – 10 days.